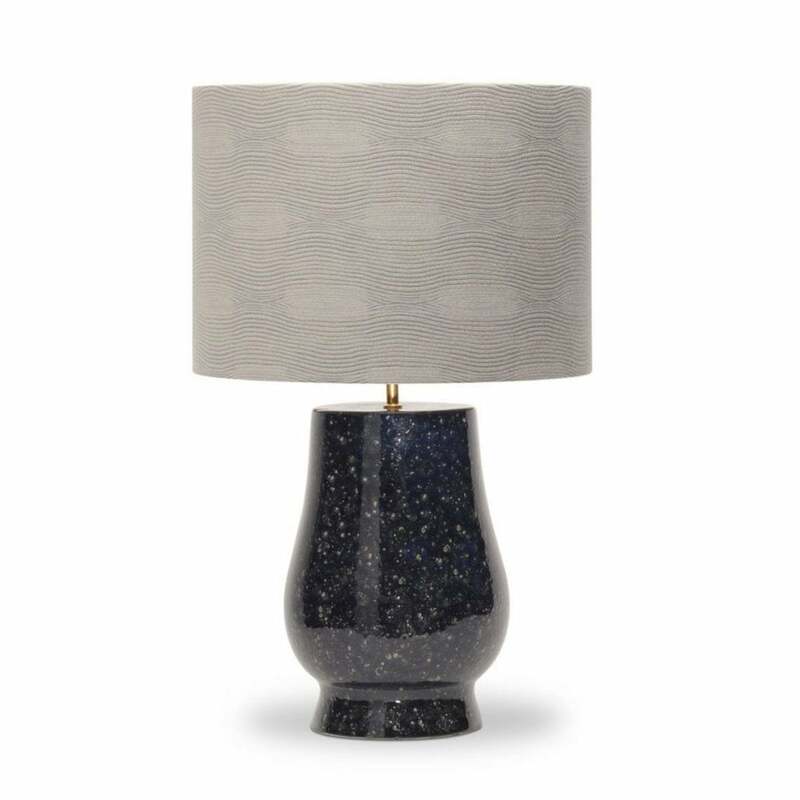 Cloaked in a dramatic glaze, the Pluto Lamp from Porta Romana is reminiscent of an inky midnight sky scattered with golden stars. Classic in shape, Pluto’s Nightsky glaze has a rich hue that creates real depth and a dramatic ambience when lit. A luxe lamp perfect for an Art Deco inspired scheme, Pluto will make a beautiful addition to a bedside table. Incredibly versatile, this beautiful light is also suitable for rodding and bolting for use on yachts. Finish with a Porta Romana’s Ocean Velvet Shade to complete the look. Get in touch with our team for more information.